Nick received his Bachelor of Science in Accounting from Utah State University in Logan, Utah. Nick is a Certified Public Accountant in the State of Nevada and is a member of the American Institute of Certified Public Accountants and the Nevada Society of Certified Public Accountants. Nick is also a registered investment advisory representative. Nick has been in public accounting since 1984 and joined Read & Powell in 1989. He became a partner in January 1995. In addition to spending significant time in individual, partnership and corporate tax planning and compliance, Nick also advises individuals in the areas of estate and gift tax planning. He has considerable experience in the gaming and construction industries. 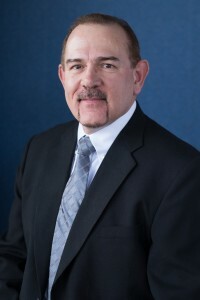 Nick has served as President, Vice-President and Secretary-Treasurer for the Northeastern Nevada Chapter of the Nevada Society of Certified Public Accountants. Nick and his wife, Renee, have four children, Tyler, Sadie, Kaden and Kirby. Nick’s interests include fishing, golf, baseball and traveling. Nick is also actively involved in various youth sports organizations in the Elko area.